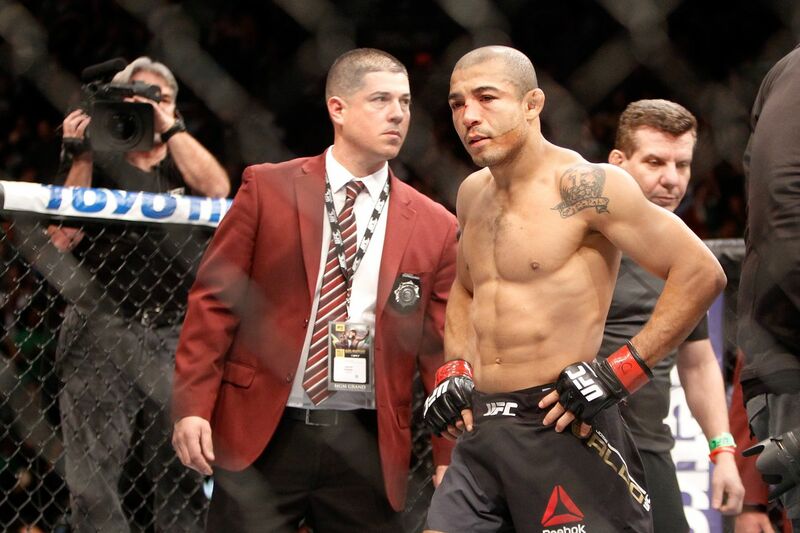 Former Ultimate Fighting Championship (UFC) featherweight titleholder Jose Aldo has no problem recognizing that he’s no longer the champion at 145 pounds, giving props where props are due. So long as it’s not directed toward Conor McGregor. That’s because “Notorious” abandoned his post to make hay while the sun shines at 155 pounds, leading to a lightweight title win and subsequent boxing match against Floyd Mayweather Jr.
Holloway is expected to face Edgar this fall. Aldo coughed up his title to McGregor at UFC 194 in late 2015. He was able to rebound with a unanimous decision win over Edgar at UFC 200, but then succumbed to strikes against Holloway at UFC 212. “Junior” is planning to make his Octagon return later this year against an opponent to be named.